As their collection continues to grow past wine racks and wine fridges, some wine drinkers retro-fit their existing basements to make them ideal for wine storage, rather than rely on natural conditions. Since renovating your basement, or building a custom cellar, can involve several trades — electrical work, insulation, carpentry, lighting, engineering, masonry and interior design — it’s advisable to hire an experienced contractor or a cellar consultant. First, analyze your existing basement conditions to identify humidity levels and hot and cold spots, in relation to the ideal range. This will tell you what a nd how much insulation you need for walls, doors and ceiling; and where it needs to go; and what specialized heating, cooling and humidifying units required. Just as a kitchen fridge doesn’t provide the right humidity, a standard air-conditioner is also not suited to long-term wine storage. In fact, a large cellar may even require a dedicated power plant, separate from the main system that heats and cools the home. The fortunate oenophiles are those who can include a cellar in their plans for a new home: they can insure the proper conditions are created from scratch. In such a case, consider whether you’ll use the cellar for storage only, or for entertaining as well. Some collectors like to dine in their cellars, surrounded by bottled history. This not only means a larger cellar, but also more robust heating and cooling units to keep the temperature constant. 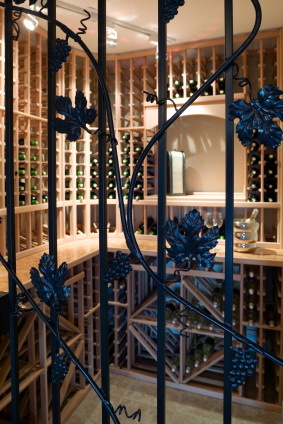 High-end cellars can be intoxicating fantasies. The options make the creative juices flow faster than anything Bacchus could pour: mood lighting to evoke a Tuscan sunset, glass-rinsing sinks, antique furniture, limestone floors, carved doors, map drawers to show where the wines originated, and even a sprinkling of imported Bordeaux dust on the bottles for the instant authentic look. Some collectors like to go high tech with computerized alarm systems that page owners during break-ins or power failure (now not such a remote possibility). Others install high-speed internet connections, to pull up wine reviews from the web when they open a bottle or to send gloating e-mails to absent friends. Some keep online cellar logs that are connected to bar-code scanners, to keep track of what they buy and drink. Reputable custom cellar builders include Rolf Thorhauge in Ottawa at 613-841-6795 or rolfswinecellars@on.aibn.com as well as C.A. Paradis at www.caparadis.com. 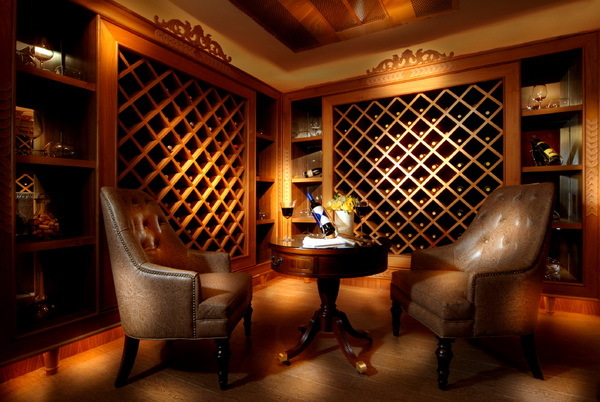 You can read more about them both in these articles about wine cellar consultants and wine cellar trends. Gary Rose of Rosehill Wine Cellars in Toronto at 888-253-6807 or www.rosehillwinecellars.com is also a reputable custom builder. Which custom cellar builders would you recommend? Here are wines to stock in your cellar.